Movie Adaptations Of Stephen King Novels. The master of the macabre. 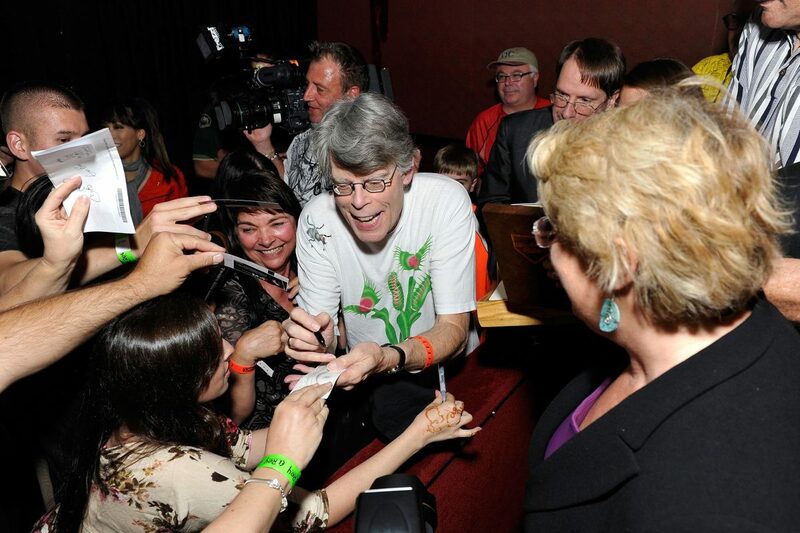 Stephen King is the undoubted master of the modern horror novel, his popularity is such that many of his books have been adapted into movies, some great, some okay and some just downright awful, lets have a look at some of the better ones. 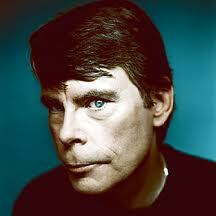 Carrie was the first of Stephen Kings novels to be published and he was paid a paltry $2500 dollars for the rights to the film. 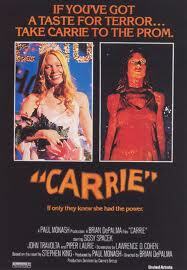 The movie was directed by Brian De Palma and starred Sissy Spacek in the titular role. The movie had great performances not just by Spacek but by also by a cast that included Piper Lawrie as Carries mother and a young John Travolta as a high school jock in one of his earliest roles. Carrie White is a teenage girl who when reaching puberty discovers that she has the power of telekinesis, the power to move objects using only her mind, shunned and bullied by her school class mates due to her dowdy manner and old fashioned looks, at the end of the book Carrie reaps the ultimate revenge. A new version of the movie is due to be released in 2013 starring Chloe Grace Moretz in the role of Carrie, if it gets anywhere near the original movie it should be pretty good. 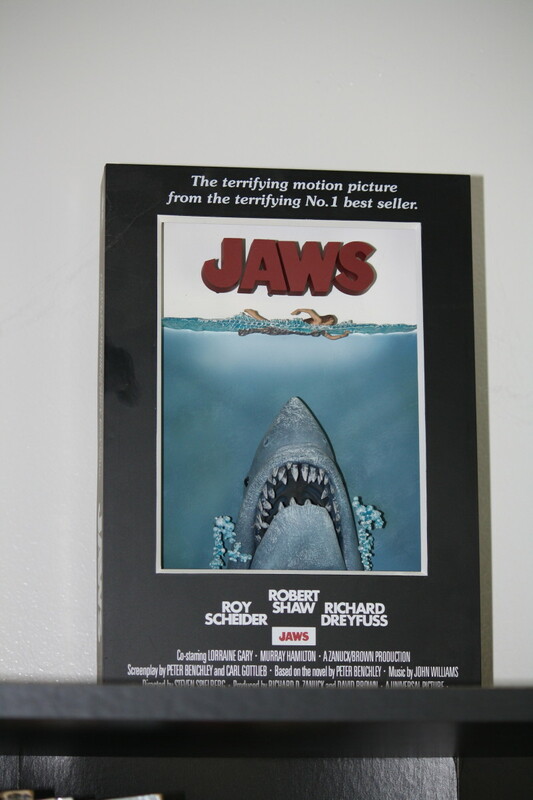 Original film poster of the 1976 movie.
" 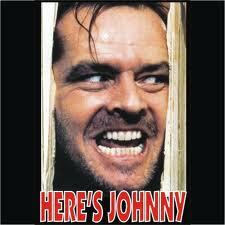 Here's Johnny ", who could forget this phrase used by psychotic Jack Torrance played by Jack Nicholson as he smashes a door down to get to his terrified wife! Directed by Stanley Kubrick The Shining has become one of the most iconic horror movies of all time, with a great cast that included Shelley Duvall and Scatman Crowthers ( the voice of Hong Kong Fooey ) the film has a tension that just increases as the movie goes on and builds to a crescendo in an amazing scene set in a snow covered maze at the end. A true horror classic. Who can forget the scene where psychotic nurse Annie Wilkes breaks writer Paul Sheldons ankles in a terrifying scene guaranteed to send shivers up ones back. With great performances from Kathy Bates and James Caan, Misery is a moody and disturbing chiller directed by Rob Reiner. 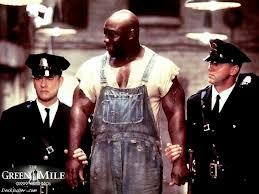 The novel of the Green Mile was originally published in six short paperback volumes, it tells the story of Paul Edgecombe a senior warden in a Louisiana Prisons death row and his experiences with prisoner John Coffey a giant of a man with magical powers wrongly accused of the murder of two young girls. A super adaptation of the novel was released in 1999 with Tom Hanks in the role of Paul Edgecombe and the late Michael Clarke Duncan as John Coffey. A heart rendering tale The Green Mile remains one of the most popular adaptations of one of Kings books. The late Michael Clarke Duncan portrays John Coffey. Originally titled Rita Hayworth and The Shawshank Redemption the film is based on a short King novella from the book Different Seasons. The story tells of banker Andy Dufresne who spends nearly two decades of his life imprisoned for a crime he did not commit. 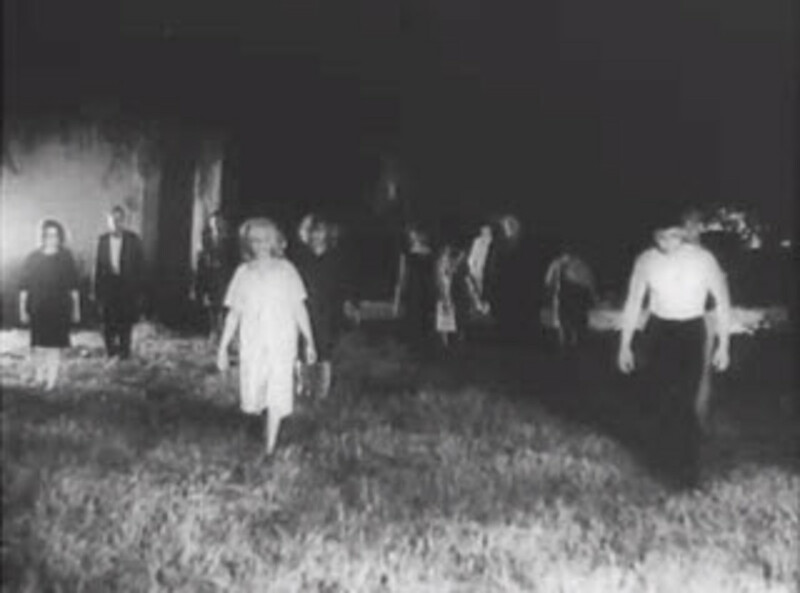 Surprisingly the movie was not a box office success but it was lauded by the critics and received seven academy award nominations. Featuring strong performances from Tim Robbins and Morgan Freeman the film often features strongly on lists of the greatest films of all time, probably the best movie adapted from Kings writing. Published in 1975 Salems Lot was Kings second published novel and won the award World Fantasy Best Novel in 1976. The story tells of writer Ben Mears who returns to the town of Salems Lot where he lived as a boy to find the town being menaced by vampires. The film can now be watched as a whole but was released as a television miniseries in originally in 1979 starring David Soul of Starsky and Hutch fame. 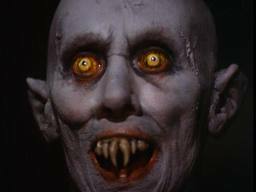 The series features one of the most frightening looking vampires of all time in Mr Barlow. Directed by David Cronenberg The Dead Zone is a personal favorite of mine. The story tells of Johnny Smith a schoolteacher who after suffering injuries in a car crash awakes from a five year coma with the ability to see into the future of anyone he touches including a politician that will go on to cause nuclear war if he is not stopped. Christopher Walken puts in a strong performance as Johnny in the film and Anthony Michael Hall portrayed the character in the television series of the same name. Movie poster for The Dead Zone. Like The Shawshank Redemption, Stand By Me ( titled The Body in the book ) is another story taken from Kings book of short novellas Different Seasons. The story tells of four prepubescent pals who go on a hunt for the body of a missing local boy. The film is directed by Misery director Rob Reiner and starred the late River Phoenix and Will Wheaton of Star Trek the Next Generation fame and more recently The Big Bang Theory. Although there have been some great film adaptations of Kings work there has also been some truly awful ones, The Langoliers springs to mind as does the Tommy Knockers, Firestarter was not too bad as was Cujo and the Mist. For every Shawshank Redemption there seems to be a Needful Things, i suppose Kings work has not been represented too badly on celluloid but it could have been a lot better! If you like to rummage around yard or car boot sales or enjoy hunting in thrift shops, here are some books to look out for. The Top Movies Based On Non Super Hero Comic Books. Hi great comment, to be honest Hitchcock never did it for me although i did quite like the Cary Grant and James Stewart ones. This is a great list- except for one small problem! You forgot Pet Semetary! That one was my favorite. It still creeps me out; the little boy gets me EVERY time. Very twisted movie. Great job though- he is considered the master of horror for me; with all due respect for Hitchcock, of course!!! I just might do that. Thanks for the tip! Good point EJ, funnily enough i watched King movie on youtube last night one i was not aware of called The Night Flier obviously not a massive budget but a good story and rather well done, worth a look if have not seen it. Very true. That part wasn't exactly crisp but the CGI of the time didn't allow for much. Perhaps they should've waited a few years until the technology caught up. That's what James Cameron always did with his movies. Hi EJ, i think it was the effects that spoilt the Langoliers for me, it reminded me of Pac Man! I know it was made for TV and most people hated it, but I genuinely don't think The Langoliers gets enough credit. Considering the budget they had, I thought they did a very good job, especially with the casting. Getting David Morse and Dean Stockwell were steals, and the performance by Bronson Pinchot as Craig Toomey was one of the best of his career, yet nobody knows about it. A shame. Thanks for the insightful comments folks. 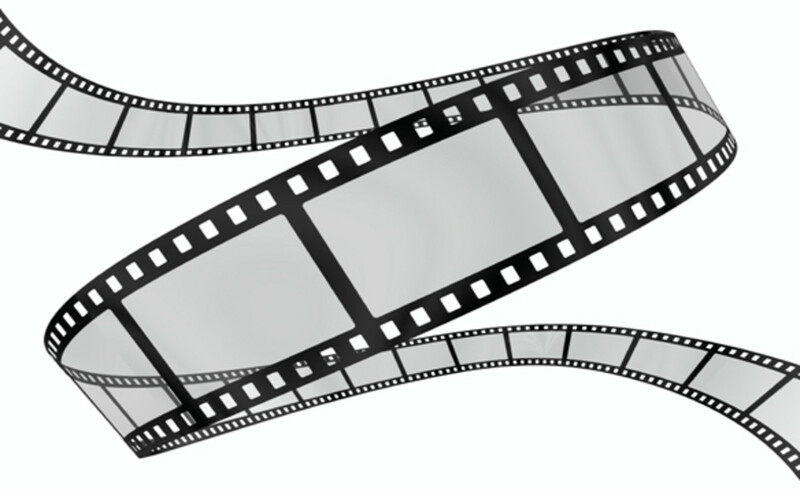 A novel adaptation into a film could 'turn' a very good novel into a bad movie and vice versa. And in many cases it is the vision of another artist, the director that will define the outcome. Hence, King's 'The Shining' become a masterpiece in the hands of Stanley Kubrick (King never approved of the film as Kubrick largely deviated from his novel) while tv mini-series 'The Shining' which was faithfull to the novel is just a mediocre movie, mostly known to King's die hard fans. Your list is great and all the movies you included are very good. I would only add Frank Darabond's 'The Mist' which was a great film and perhaps 'The Stand' and 'Pet Cemetary' which were quite successful back in the time. Thanks Viva, check out the book Different Seasons where Shawshank comes from its a great read. Stephen King's output is just incredible - it's easy to forget the range of his work and just think of him as a thriller writer. I stumbled upon The Green Mile on TV a while ago with no idea what it was or who was behind it, but kept thinking it was reminiscent of The Shawshank Redemption... only realised the link when I checked it out on IMDB. Great hub, thanks!